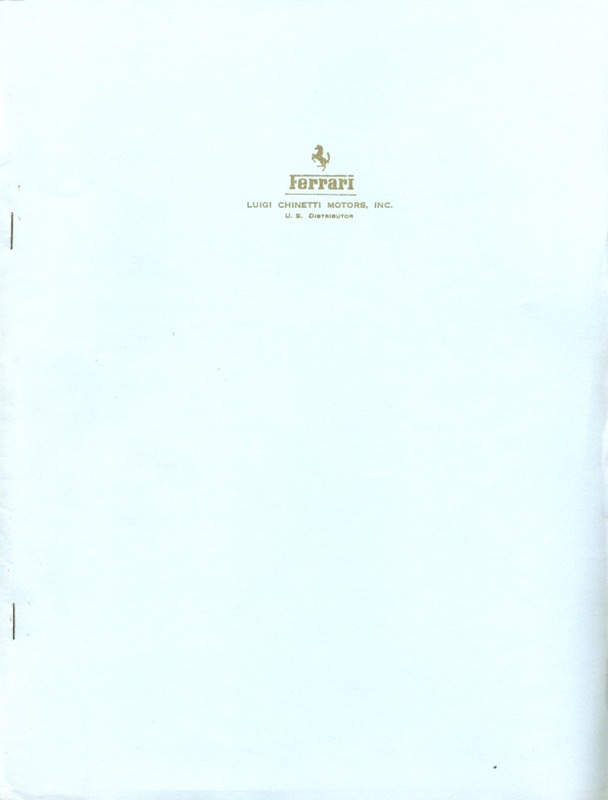 This simple brochure was produced by Luigi Chinetti Motors, probably in 1963. It covers the 330 America and 250 GT Lusso models. 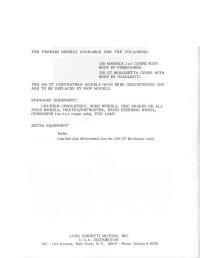 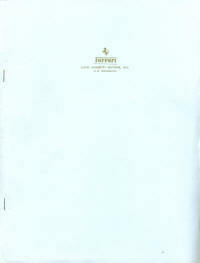 The cover was a single piece (~17"x11"), folded and stapled with the three letter sized pages inside. 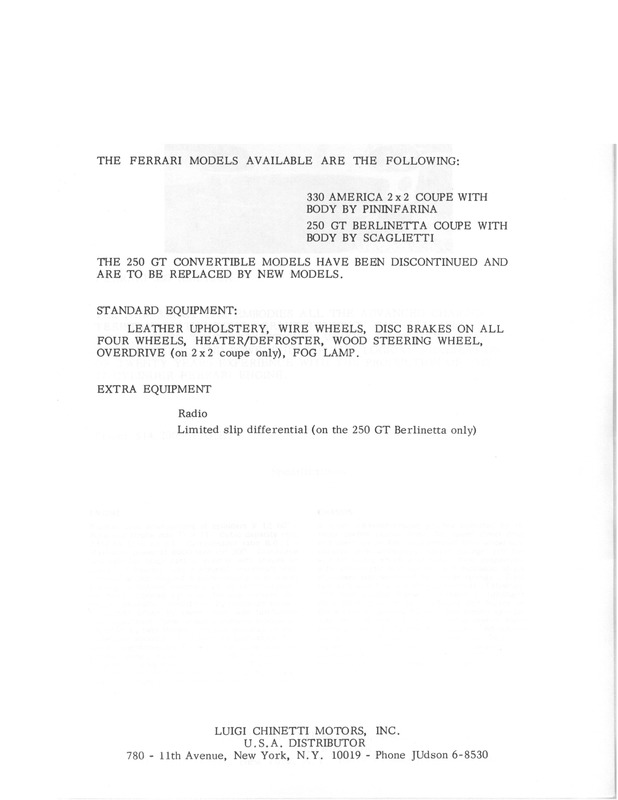 The picture and specifications are for the 4HL 330 GT, but the model says 'Ferrari 330 America'. 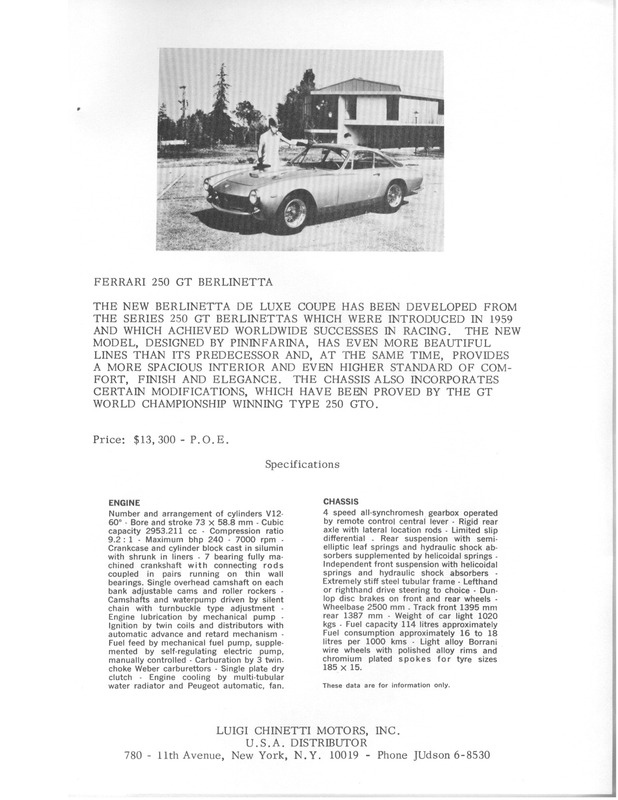 wasn't powerful enough for the US market and the 4HL 330 GT wasn't in production yet. 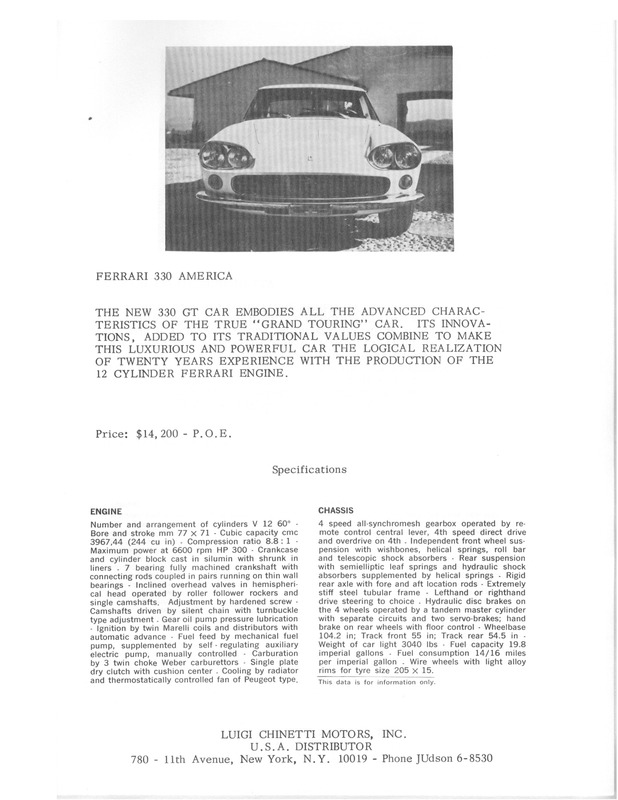 Note the prices, $14,200 for the America and $13,300 on the Lusso. 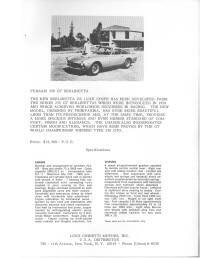 The larger the car, the more expensive it was to make.